Adding a bench to your deck is made easy with this bracket. Made to complement the colour of your deck, the design of this bracket allows for weight to be evenly distributed over the deck surface, making your bench safe and reliable. For use with 2 in. x 4 in. or 2 in. x 6 in. lumber, this bracket can add durable seating to your home or cottage deck. Designed to be hidden from view, these wood-to-wood connector plates create a virtually invisible connection. Easy-to-install for the professional or do-it-yourselfer, this connector will add reassuring stability to your deck or other applications. With a powder-coated finish and steel construction, this connector is built to weather the elements. 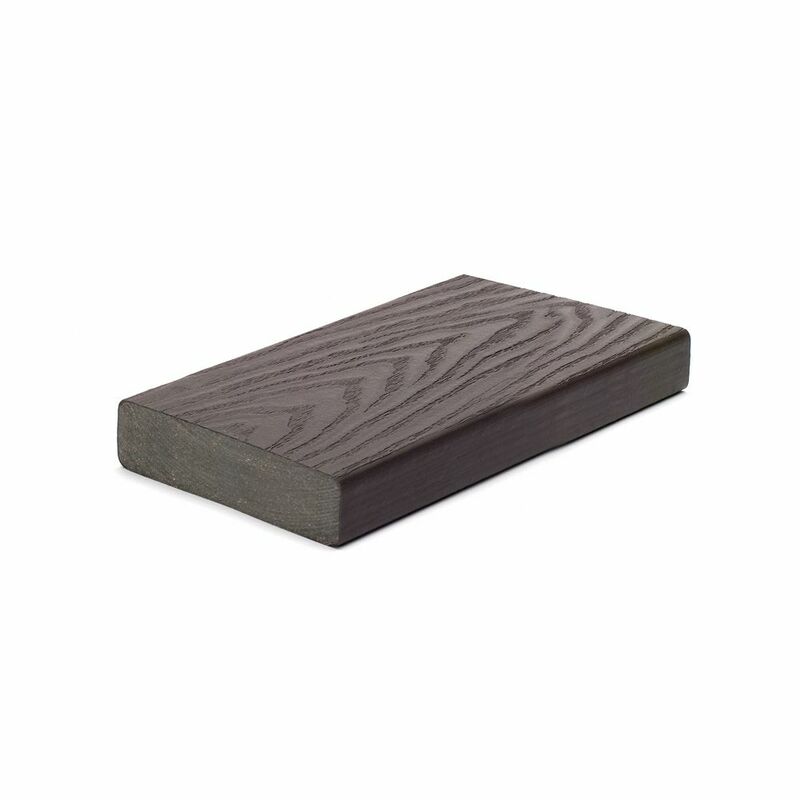 16 Ft. - Select 2x6 Composite Capped Square Decking - Woodland Brown Often used for docks and commercial products, our 2 in. x 6 in. Select boards bring legendary luxury to your home more affordably than ever. Durable and inviting, Select is the perfect, go-with-anything decking that retains its beauty for decades with only minimal upkeep. And when it comes to deck design, our Decking & Railing Duos can give you an idea of what's possible. Plus, you can feel good about your purchase, since Trex is made from 95% recycled materials.